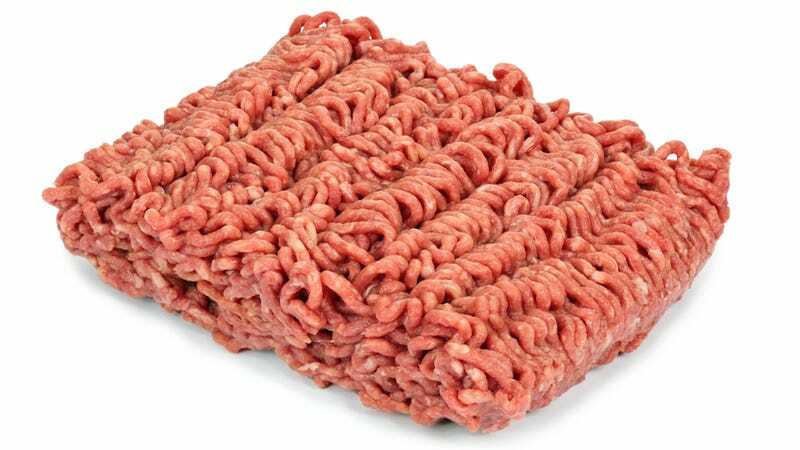 As a Carol Brady-aspiring mom, I hardly ever leave the grocery store without at least a pound of lean ground beef covered in plastic wrap. Knowing there will be days ahead when I don’t have dinner planned, that little package is my ticket to easy dinners like sloppy joes, tacos, chili, meatloaf. But, as my busy days go by, sometimes I’ll forget about that package until I pull it out again and it has changed from a healthy looking red to an off-brown color. Is it still okay to eat? I can’t even tell you how many times I’ve looked this question up online, usually to discover disparate viewpoints (from “Don’t even look at it! Throw it away!” to “Eh, it’s probably fine.”) Out of desperation/hunger/lack of time, I usually veer toward the latter, and so far no one has gotten sick. Sure I smell the beef to make sure it’s not spoiled (seems to be fine) and touch it (not slimy). Still, am I doing the right thing? Or am I both lucky and dumb? With no end in sight for my family’s ground-beef addiction (and crockpot season just around the corner), I decided to get a definitive answer to my burning kitchen question. I emailed the North American Meat Institute, which emailed me back stating, “Color is simply based on exposure to oxygen, not related to safety,” and directed me to the following video. The USDA website agreed, stating: “Change in color alone does not mean the product is spoiled. Color changes are normal for fresh product. With spoilage there can be a change in color—often a fading or darkening.” Besides color, “the meat or poultry will have an off odor, be sticky or tacky to the touch, or it may be slimy. If meat has developed these characteristics, it should not be used,” so my smell and slime tests were working. But for more information, the Meat Institute also steered me toward a blog called Mom At The Meat Counter. It’s been run since 2011 by Janeal Wyn Yancey, a meat scientist at the University Of Arkansas focused on meat color and quality issues. She has a Ph.D. in meat science—who knew there was such a thing? The knowledgeable meat scientist patiently and painstakingly attempted to explain to the science-challenged (me) why I can still eat that meat even though it’s an entirely different color. But it’s not going to stay that way. The red meat eventually changes to brown, “just like apples can oxidize and turn brown when they’re exposed to air,” says Yancey. Because—and here’s where all your high school science classes come into play—the iron in that protein loses an electron when it’s exposed to oxygen, which causes the protein to change its shape, which in turn changes the way it reflects light, “and that’s what causes it to turn brown.” Honestly, I think I have my kids’ science fair project this year all wrapped up. So although the brown meat may not be as pretty, it’s not harmful—yet. “The problem is that if you leave it brown for too long, all those oxidized pigments will cause the fat to oxidize, and that will cause some flavor issues.” Flavor issues are not a thing that anyone would like in their ground beef. 2) Smell it. “If it’s got spoilage bacteria, it’ll smell bad,” and that’s when you toss it and don’t look back. Even if you keep your meat, Yancey stresses, “you always want to cook your ground beef to 160 degrees. It doesn’t matter how fresh, how fancy your meat is, you want to cook it to 160.” Sorry, no rare meatloaf for you. I feel so much better knowing I haven’t been poisoning my family this whole time! Because the chaotic way my life is usually going (and with school starting up again around the corner), future brown ground beef packets in my fridge are just an inevitability. At least now I know I don’t have to be afraid of them—at least not immediately.